← HERE IS YOUR LITTLE DOSE OF SATIRE TO HELP YOU COPE WITH THE LEFT’S PROMOTION OF FATHER JAMES MARTIN, S.J. TO SUCCEED FRANCIS LATER THIS YEAR. The open letter reproduced in its entirety below was published today, Monday, January 29, by Cardinal Joseph Zen Ze-Kiun, bishop emeritus of Hong Kong, on his blog, and was immediately republished by the agency Asia News of the Pontifical Institute for Foreign Missions. In it, the cardinal reveals the essential contents of a conversation he had with Pope Francis, to whom he revealed his grave fears over the steps taken recently in China by Vatican representatives. These steps consisted in asking two “underground” bishops who are recognized by the Holy See, those of Shantou and Mindong, to make way for two bishops appointed by the government, both illicit and, the first one, excommunicated. Cardinale Zen now reveals that Pope Francis replied to him that he had given the order “not to create another Mindszenty case,” alluding to the heroic cardinal and primate of Hungary who was required by the Vatican authorities to leave his country in 1971, was removed from his position in 1973, and in 1975 was replaced with a new primate favored by the communist regime. But now it’s the cardinal’s turn. Back in October, when Bishop Zhuang received the first communication from the Holy See and asked me for help, I send someone to bring his letter to the Prefect of the Congregation for the Evangelization of Peoples, with, enclosed, a copy for the Holy Father. I don’t know if that enclosed copy reached the desk of the Holy Father. Fortunately, Archbishop Savio Hon Tai Fai was still in Rome and could meet the Pope in a fare-well visit. In that occasion, he brought the two cases of Shantou and Mindong to the knowledge of the Holy Father. The Holy Father was surprised and promised to look into the matter. Given the words of the Holy Father to Archbishop Savio Hon, the new facts in December were all the more a shocking surprise to me. When the old distressed Bishop Zhuang asked me to bring to the Holy Father his answer to the message conveyed to him by the “Vatican Delegation” in Beijing, I simply could not say “No”. But what could I do to make sure that his letter reach the Holy Father, while not even I can be sure that my own many letters did reach him. 1. Please, notice that the problem is not the resignation of the legitimate Bishops, but the request to make place for the illegitimate and even excommunicated ones. 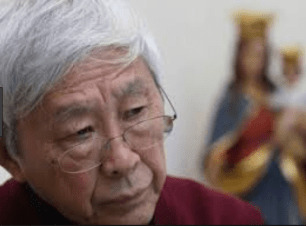 Many old underground Bishops, though the retirement age law has never been enforced in China, have insistently asked for a successor, but have never received any answer from the Holy See. Some others, who have a successor already named, may be even already in possession of the Bulla signed by the Holy Father, were ordered not to proceed with the ordination for fear of offending the Government. 3. I acknowledge myself as a pessimist regarding the present situation of the Church in China, but my pessimism has a foundation in my long direct experience of the Church in China. From 1989 to 1996 I used to spend six months a year teaching in the various Seminaries of the official Catholic community. I had direct experience of the slavery and humiliation to which those our brother Bishops are subjected. And from the recent information, there is no reason to change that pessimistic view. The Communist Government is making new harsher regulations limiting religious freedom. They are now strictly enforcing regulations which up to now were practically only on paper (from the 1st of February 2018 attendance to Mass in the underground will no longer be tolerated). Safe to say he’s “Anti Pope” Francis??? Only an anti pope would do this. “Yes, I told them (his collaborators in the Holy See) not to create another Mindszenty case”. If this is a fully accurate report of Pope Francis’ response, it is stunning. The statement can only mean ‘let us avoid the public scandal’ that was wrought by the Vatican’s betrayal of Mindszenty. However, it does not imply that the Vatican ought to have avoided the betrayal. How can anyone espousing such opportunist proportional consequentialism pretend to stand for a plenary Natural Law doctrine, least of all the integrity of Divine Law?